Among his many accomplishments on behalf of Ohio families are an$11.5 million verdict arising out of devastating injuries from a railroad crossing crash, a $6 million verdict stemming from a tragic death due to a defective dump truck, a $4 million settlement for a brain damaged woman due to medical negligence, and a $3 million dollar settlement for the horrible death of a young worker who was crushed to death in a press at his employer’s workplace. “The Best Lawyers In America” for 20 consecutive years! Mr. Schulman’s compassion for his clients and his outstanding results have earned him selection as one of the “Top 100” lawyers in Ohio by Super Lawyers, 20 consecutive years as one of the “The Best Lawyers In America” and the highest rating (AV) accorded by the prestigious Martindale-Hubbell legal rating company. Each of these honors is all the more impressive since they originate from Mr. Schulman’s peers in the Ohio legal community. 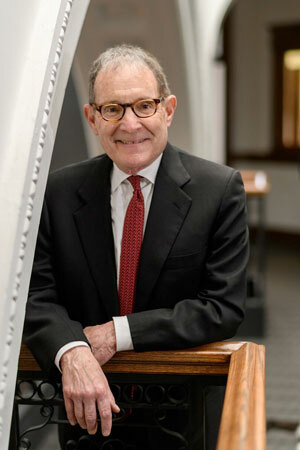 Mr. Schulman is also certified as a civil trial specialist through the Ohio Supreme Court and the National Board of Trial Advocacy, an organization dedicated to assisting the consumer of legal services by a rigorous screening and examination process of lawyers accorded specialist status. Less than 2,000 attorneys in the United States have been granted this certification in civil law and only two attorneys in Stark County, Ohio hold this distinguished certification. Mr. Schulman’s passion for justice extends beyond simply the practice of law. He was the founder and first president of the Stark County Association for Justice, an organization dedicated to protecting the rights of Stark County ,Ohio families. He has been inducted into the International Society of Barristers,International Academy of Trial Lawyers and the American Board of Trial Advocates. He is also a former trustee of the Ohio Academy for Justice. In Canton, Ohio, Mr. Schulman is actively involved in community affairs, including the presidency of Canton City Council, a position in which he has served for three terms. He also serves as chair of the Mayor’s Commission on Sustainability.